DAYTON, Ohio — Early-career farmers and those considering an agricultural vocation will get a lot of the information they need during a dedicated “Begin Farming Workshop” that is part of the Ohio Ecological Food and Farm Assoc.’s (OEFFA) annual conference Feb. 15-17 at the Dayton Convention Center. This 39th annual conference is titled A Taste for Change. 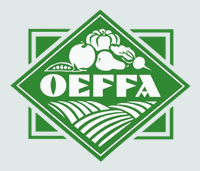 “Our goal is to help people increase their knowledge and skills, find leads on farmland, and make business and professional connections,” said OEFFA Begin Farming Program Coordinator Kelly Henderson. On Feb. 16-17, six 90-minute workshops, totaling nine hours of education, will cover a wide range of topics, from organic certification to farming with children. OEFFA sustainable ag educator Julia Barton will address the top 10 organic transition questions most people ask, while Mike Durante of the National Young Farmers Coalition will discuss land access and affordability for the beginning farmer. Other beginning farming experts will discuss government regulations, how to market your farm produces, health insurance and risk management and much more. And this annual event is not just for the beginning farmer. Additional workshop sessions on production, marketing, business and green living will be offered, giving attendees nearly 80 workshops from which to choose. This year’s keynote speakers include Jeff Moyer of the Rodale Institute and Stacy Malkan of U.S. Right to Know. His talk will focus on the food of the future rather than that of the present or past. Moyer is a renowned authority in organic agriculture with expertise in organic crop production systems, weed management, cover crops, crop rotations, equipment modification and use and facilities design. He conceptualized and popularized the No-Till Roller Crimper for use in organic agriculture and wrote Organic No-Till Farming, a publication that has become a resource for farmers throughout the world. Malkan’s keynote address, entitled “Fake News, Fake Food”, will be urging attendees how to stand up for organic foods and their right to know in the era of Big Ag. She is an author, investigative journalist and leading consumer advocate for safer products. She is also co-founder and co-director of the nonprofit group U.S. Right to Know, whose mission is to educate and inform consumers about the often hidden practices that shape the food system. Sarah Flack, a consultant, speaker and author of The Art and Science of Grazing, will cover the basic principles of good grazing management systems, as well as soils and management systems that improve pasture quality and productivity. Dr. Barbara Utendorf, a nutrition and personal wellness expert, will discuss how to incorporate key health-restoring foods and herbs in a cultivated environment. She will review the multiple benefits of plants. Matt Fout, ODA food safety supervisor, will train fruit and vegetable farmers to meet the Food Safety Modernization Act’s Produce Safety Rule. He will cover worker health, hygiene and training. Other topics found among the workshops include lessons in soil biology and soil health; growing organic foods in the face of imports; key principles of well-managed grazing systems; cover crops for small-scale vegetable production; changing customer expectations; planting trees for profit; how to store grain properly; raising pastured turkeys; cool-season vegetable production; underground greenhouse design; inroads into food deserts; and uses for alpaca fibers. The OEFFA conference also has entertainment opportunities for attending children, with an abundance of arts and crafts. The Dayton Convention Center is located at 22 E. 5th Street, Dayton, OH 45402. For more information about this event, call OEFFA at 614-421-2022.